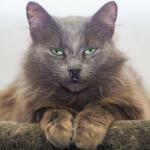 Asia is a 6 year old grey medium haired girl who is in need of a special home that will give her the TLC she deserves. She was rescued after being dumped at the pound in poor condition with scabs all over her body. Asia has been treated for allergies and all seems to have settled down! 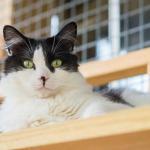 She is a very gentle calm girl who does not mind being around other cats and is very affectionate and sweet with people. She comes desexed, wormed, F3 vaccinated, FIV/FeLV tested and microchipped. Her adoption fee is $220. 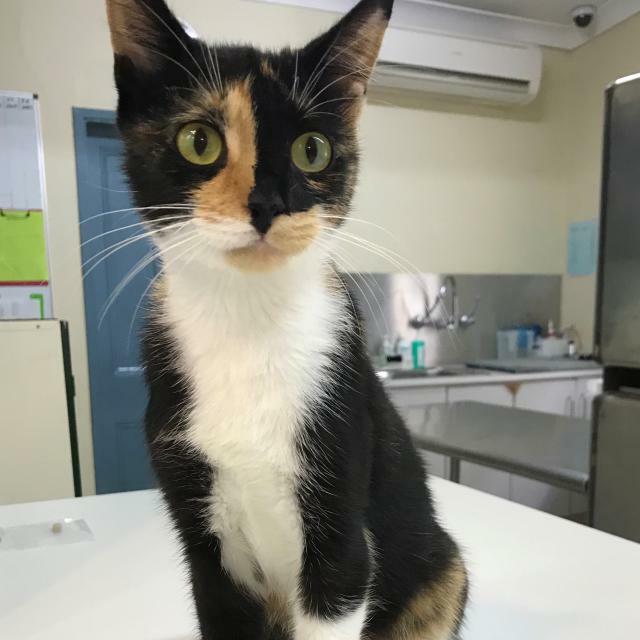 If you are interested in meeting her, call DoggieRescue on 9486 3133 and fill in the Cat Adoption Questionnaire and email it to cats@DoggieRescue.com. She is located on the Northern Beaches. Brick, Tennessee and William are brothers and were born in the roof space of a suburban house. Hence were named after Tennessee Williams' play Cat on a Hot Tin Roof. Brick was named after the main character played by Paul Newman in the movie. 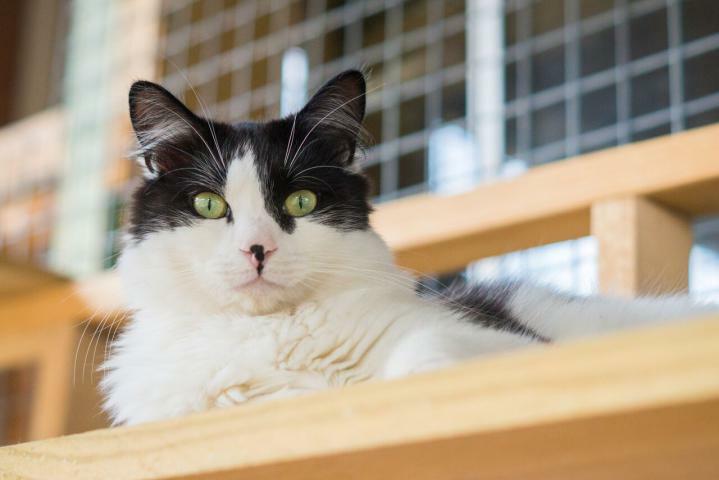 The boys are over 2 years old and are very friendly and playful. They are still very kittenish in their behaviour. They love their toys and wrestling and chasing each other. They purr very loudly, love pats and run to people for attention. They love playing together and like dogs too. They have short, very soft silky coats. Tennessee is the boldest, and he loves his foster carer's dogs. 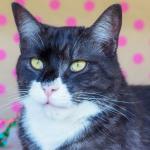 William is the prettiest but can be a bit shy of new people. Brick is the smallest and is probably the most suited to being an only cat. He is a little more independent but still loves his pats and attention. They are located in the Parramatta area. They come desexed, wormed, F3 vaccinated and microchipped. Adoption fee is $220 each. 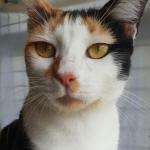 Brulee is 12 month calico Mum cat who was homeless with her 4 "dessert" kittens. 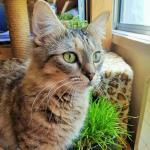 She is very playful, curious and full of energy now that she no longer has to worry about the rough homeless life. She is a cheeky girl that can get play bitey so still has some learning to do. She would prefer not to live with dogs and is a lady who knows what she wants in life. She is tiny short haired girl who weighs only 3.2kg. She comes desexed, wormed, F3 vaccinated, FIV/FeLV tested and microchipped. Her adoption fee is $220. Catsanova is a very affectionate gentle boy, about 9yo. He is so easy going. He was left at the pound very thin and with a matted coat. He has been clipped, had a medicated bath and had all his teeth removed. He is feeling much better but needs to be on soft foods for life. He is very social with other cats. He has a medium coat that needs brushing and weighs 3.3kg. He comes desexed, wormed, F3 vaccinated, FIV/FeLV tested and microchipped. His adoption fee is $220. If you are interested in meeting him, please fill in the Cat Adoption Questionnaire and email it to cats@DoggieRescue.com. He is located at Ingleside. Beetle, Mustang,Chevy and Dodge are around 4 months old and Shelby is their georgeous mum. Chevy is a very sweet boy. He loves to greet you and get pats. His purr motor goes non-stop. He loves his toys. He has a relaxed nature to him also. They come desexed, wormed, F3 vaccinated, and microchipped. Their adoption fee is $220 each. 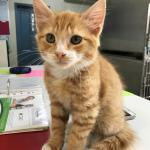 To meet them please call The Cottage Animal Hospital on 9890 7220. Clara is the last remaining kitten of Cleo. She has an affectionate gentle nature. She was born end Nov 18. 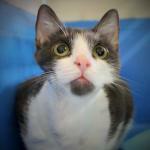 She is sweet and has been used to living in a busy vet clinic around other cats and dogs. Cleo came from the pound with 3 young kittens in Dec 18. 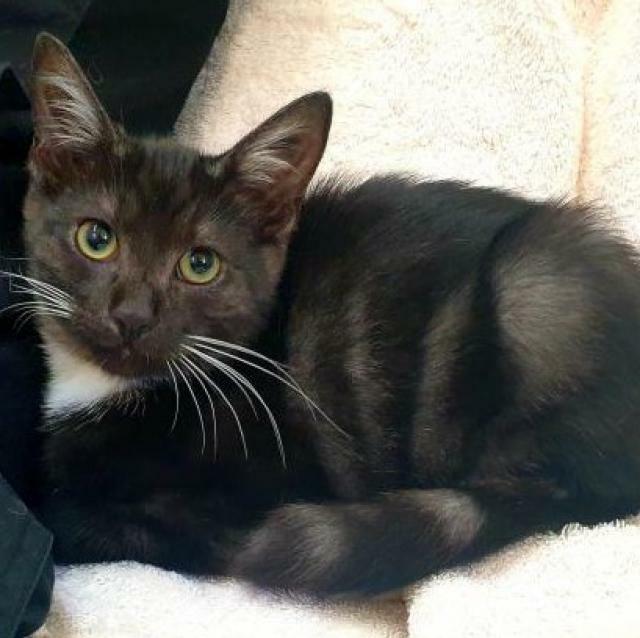 She came from the pound very flighty and scared but has relaxed a lot since living at our vets. She would do best in a calm household where she can unwind further. She is about 12 mths old and weighs a tiny 2.4kg. She has been around other cats as well as dogs. She is located on the Northern Beaches and comes desexed, wormed, F3 vaccinated, FIV tested and microchipped. Her adoption fee is $220. 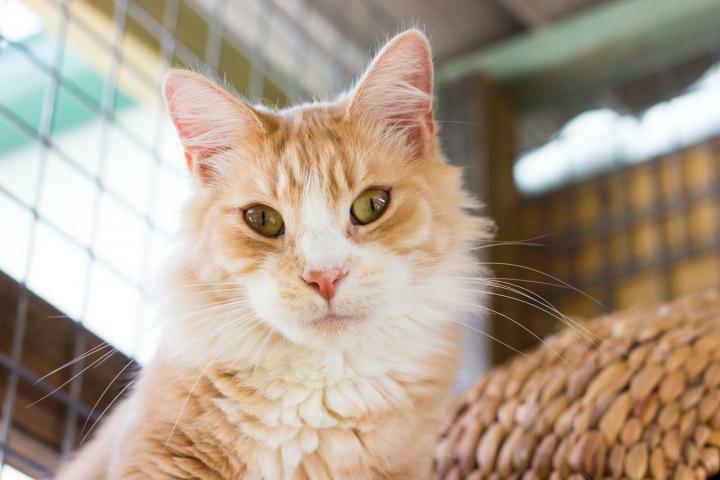 If you are interested in meeting her call DoggieRescue on 9486 3133 and fill in the Cat Adoption Questionnaire and email it to cats@DoggieRescue.com. She is located at Ingleside. Dodge is an active boy who is very affectionate and has a constant purr motor as well. 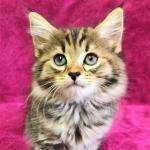 Fluffy is a lovely medium coated tabby girl who just had a litter. Her kittens have been adopted and she is still waiting. 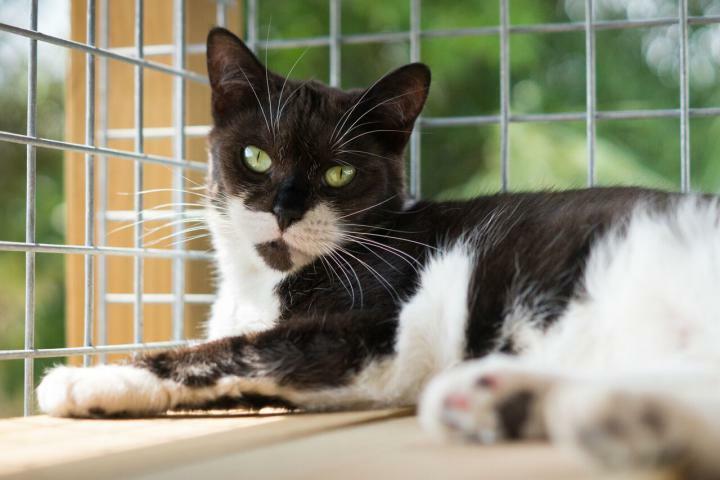 She is a gentle girl suited to a quiet life and looking for a family to call her own to let her very affectionate and sweet nature shine. 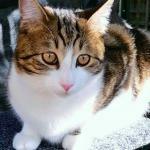 She is located on the Northern Beaches and comes desexed, wormed, F3 vaccinated, FIV tested and microchipped. She is approximately 2 and a half years old and her adoption fee is $220. Grayson is a Russian Blue X around 12 months old. Russian Blues are very loving and reserved. They do not like noisy households but they do like to play and can be quite active when outdoors. They bond very closely with their owner and are known to be compatible with other pets. They can happily live indoor or outdoor and will also suit small living space like apartments. The Russian Blue's coat requires minimal attention. The less they are brushed, the more radiant the coat becomes. Grayson has had a rough start in life. He recently needed to have his tailed amputated and is currently incontinent. He wears little washable nappies that he is used to wearing. He is looking for a committed owner willing to keep this lovely little cuddly bear clean. He is a confident boy who loves being the centre of attention being the very handsome boy he is. 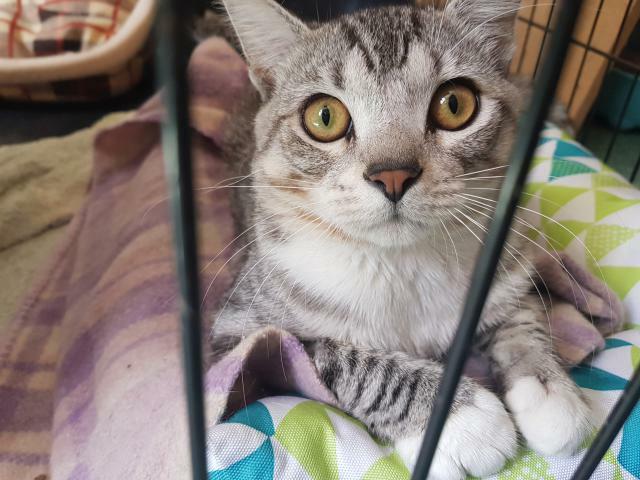 If you are interested in meeting him, call DoggieRescue on 9486 3133 and fill in the Cat Adoption Questionnaire and email it to cats@DoggieRescue.com. He is located at Ingleside. 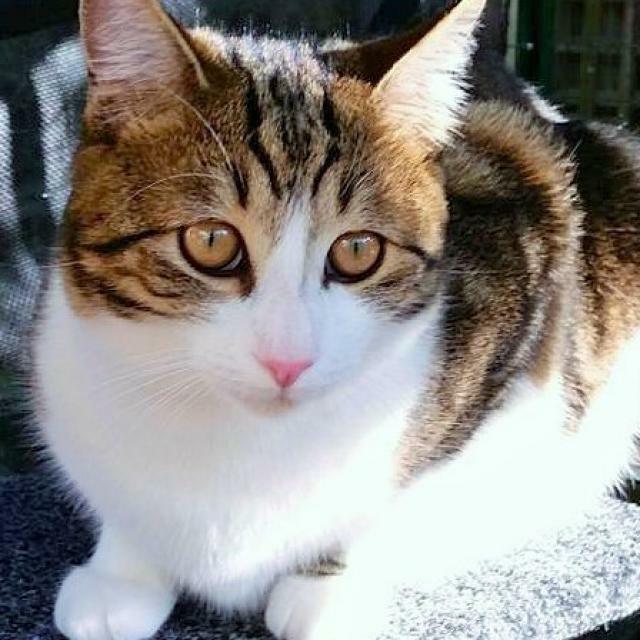 He has just turned 1 years old and comes desexed, wormed, F3 vaccinated, FIV/FeLV tested and microchipped. His adoption fee is $220. 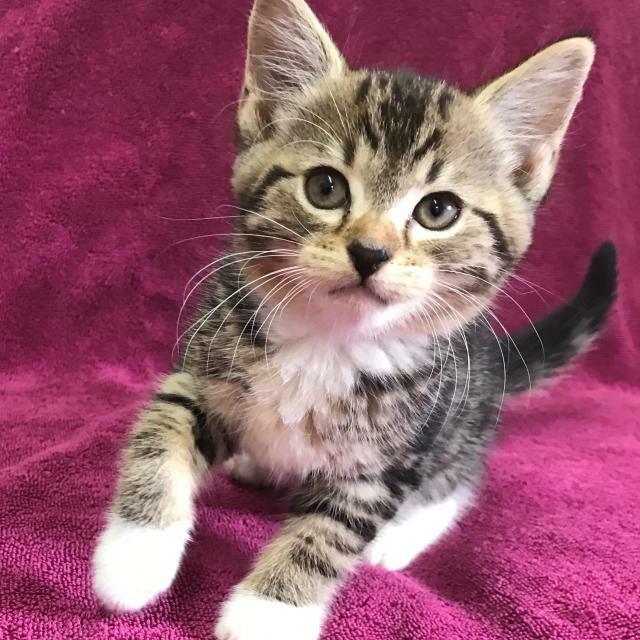 Little Kingston came to us with Flat Chested Kitten Syndrome.He couldn’t walk and was struggling to breath as his little lungs were getting squashed. He needed a brace to correct this and is now out of his brace, running and climbing with his siblings. He is part of The Biscuit Litter, born at the end of Jan. He comes desexed, wormed, F3 vaccinated and microchipped. His adoption fee is $220. 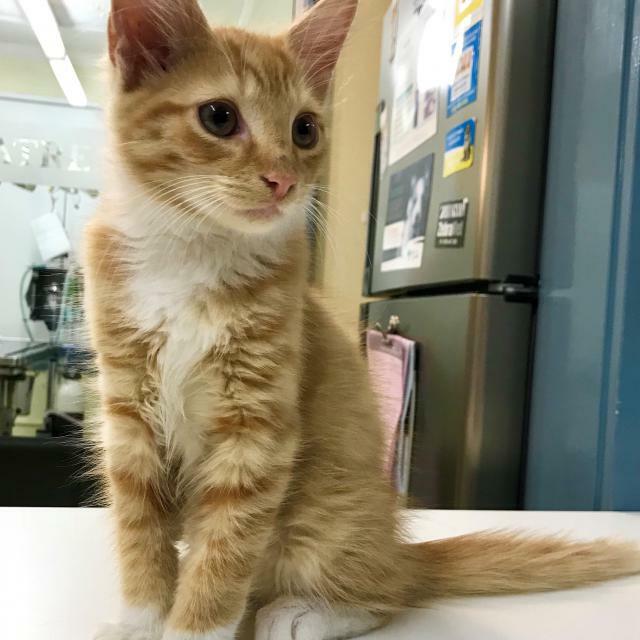 To meet him please call The Cottage Animal Hospital on 9890 7220 in Parramatta. Are you looking for an inquisitive and social new friend? Levi just likes to "hang out" with you for most of the day and sleep on your bed at night. 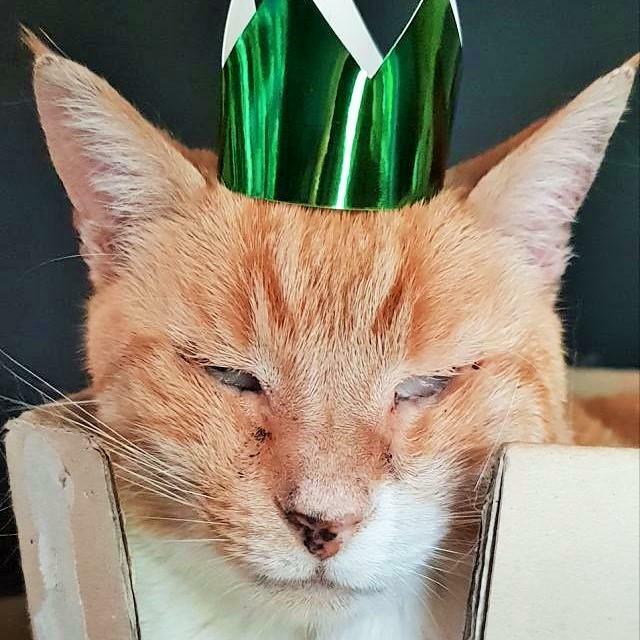 Levi is about 3 years old, brave at heart and likes being with people and involved with whatever they are doing including lounging or pottering on the balcony, cleaning the house, watching telly, or playing with cat toys. She was rescued from a pound. She is FIV positive so would be better suited as a totally indoor cat. 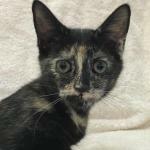 Levi acts like any other cat and needs a relatively quiet family home to help keep her immunity up. Levi is extremely playful with a very loud purr. 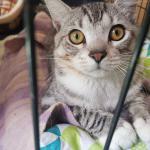 Levi loves to play with toys, and is comfortable spending hours alone but she prefer the company of people. 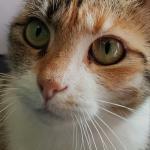 She is located on the Northern Beaches and comes desexed, wormed, F3 vaccinated, FIV tested and microchipped. Her adoption fee is $220. If you are interested in meeting Levi, please fill in the Cat Adoption Questionnaire and email it to cats@DoggieRescue. Lil is a beautiful fluffy girl with enchanting green eyes and a soft coat to keep you warm during the winter months. 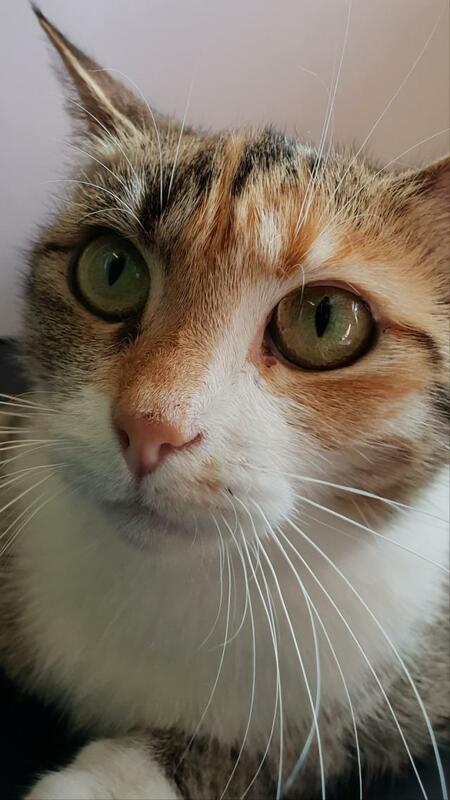 She is an affectionate girl who enjoys pats under her chin and licking your fingers with much love and "smiley eyes" to show she appreciates when you show her attention. Whilst she likes her pats, she doesn't like being over handled. She has a cute speckled nose and also enjoys playing with her toys and her kitty friends, especially her brother Tommy whom she is very bonded with. 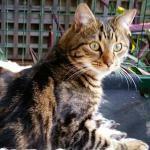 She is located on the Northern Beaches and comes desexed, wormed, F3 vaccinated, FIV tested and microchipped. She is around 3 years old and her adoption fee is $220. Are you looking for a big cuddly sook, who is confident and very affectionate? Logan just likes to "hang out" with you for most of the day and sleep on your bed at night. 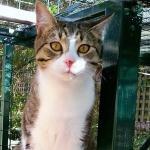 Logan is a young 3 year old boy, who is confident and very affectionate. 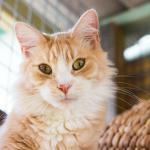 Logan likes being with people and involved with whatever they are doing including lounging or pottering on the balcony, cleaning the house, watching telly, or playing with cat toys! He was rescued from a pound with his sister Levi, and both are FIV positive. Logan prefers a relatively quite family home to help keep his immunity up. He would be best as a totally indoor cat. We are happy to discuss the meaning of FIV positive cats and their needs. Logan loves to chase toy-balls, play with strings and cuddle time at least once each evening. 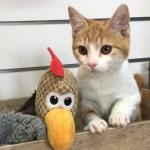 Logan loves to play with toys, and can be left alone though prefers human company. 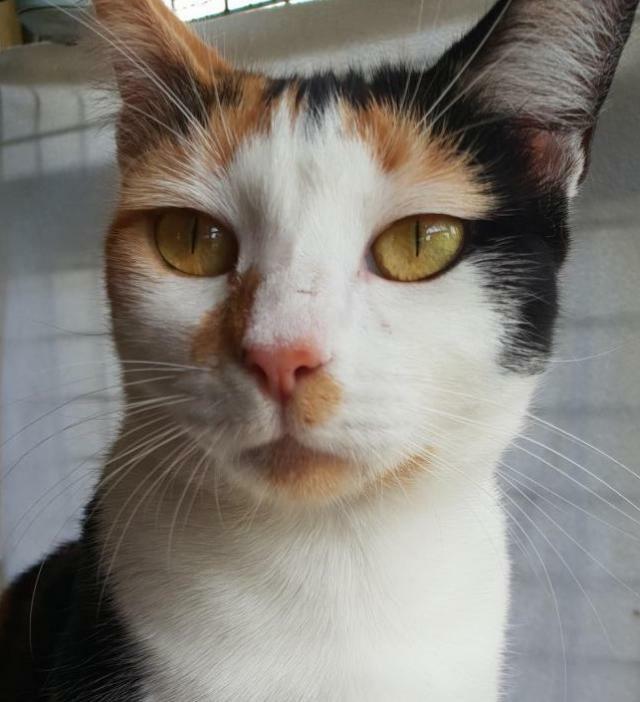 Maddie is a stunning tortishell girl around 5 years old. She is gentle and smoochy if you are calm. She is social with other cats. She would suit a quiet household. She comes desexed, wormed, F3 vaccinated, FIV/FeLV tested and microchipped. Her adoption fee is $220. 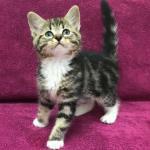 Little Monte Carlo is a sweet and playful boy who is part of The Biscuit Litter, born at the end of Jan. Mouse is a tabby and white DMH boy and he is a little shy until you get to know him. He doesn’t mind other cats if they are relaxed and leave him to his self. He comes desexed, wormed, F3 vaccinated, and microchipped. His adoption fee is $220. To meet him please call The Cottage Animal Hospital in Parramatta on 9890 7220. Mr Kinks is a playful, smoochy grey tabby boy we rescued from the pound with an injured paw and a kink in his tail. His paw has healed well and is ready to let his lovable personality fill a home and heart with. 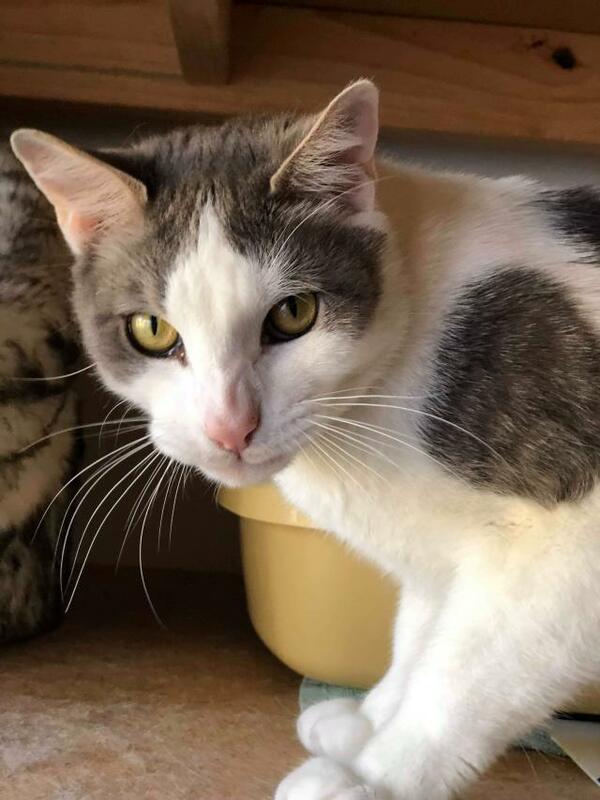 He has is over 1.5 years old and comes desexed, wormed, F3 vaccinated, FIV/FeLV tested and microchipped. His adoption fee is $220. 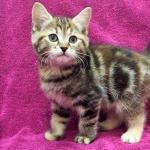 Petal is a single kitty who arrived at our clinic. She is playful and affectionate who doesn’t mind other cats. She loves a good cuddle as well. However she has some neurological problem and is currently under treament and not currently available for adoption. She comes desexed, wormed, F3 vaccinated and microchipped. When ready, her adoption fee is $220. To meet her please call The Cottage Animal Hospital on 9890 7220 in Parramatta. Prince Harry is such sweet gentle ginger and white boy. He lets strangers carry him around without any fear and is always friendly with people. He does not mind being around dogs either. Prince Harry is pretty blind likely due to congenital issues however you never see him bump into things so must some vision in his L eye. He does not mind being around other cats either providing they are gentle. He has a good appetite and enjoys cooked chicken, roo mince as well as commercial foods. He has a short coat and weighs 4.3kg. Carmine, Crimson, Rose, Ruby, Terracotta are Scarlet's daughters and Rust is her son. 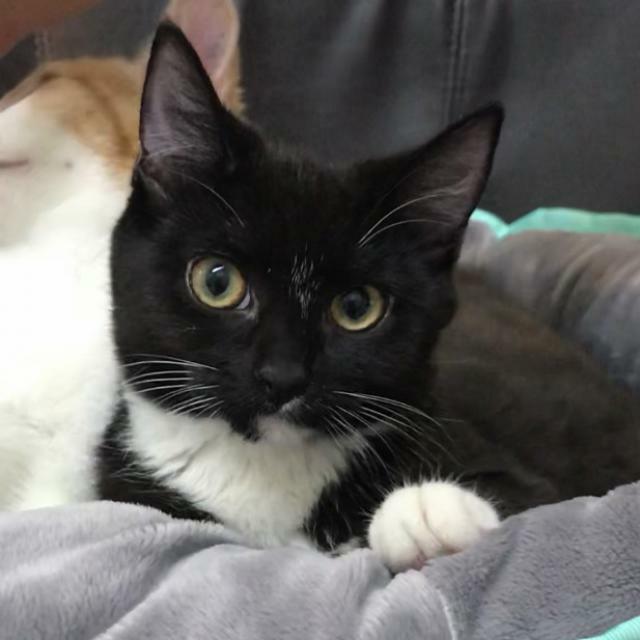 They are currently 16 weeks old (21/3) and ready for their forever homes. They have spent a lot of their lives in a busy vet hospital around other cats and dogs. To meet her please call The Cottage Animal Hospital on 9890 7220. Scarlett came from the pound with newly born bubs, Carmine, Crimson, Rose, Ruby, Terracotta and one boy Rust. Scarlett has been a great Mum and is now ready for her own home and an end to motherhood. 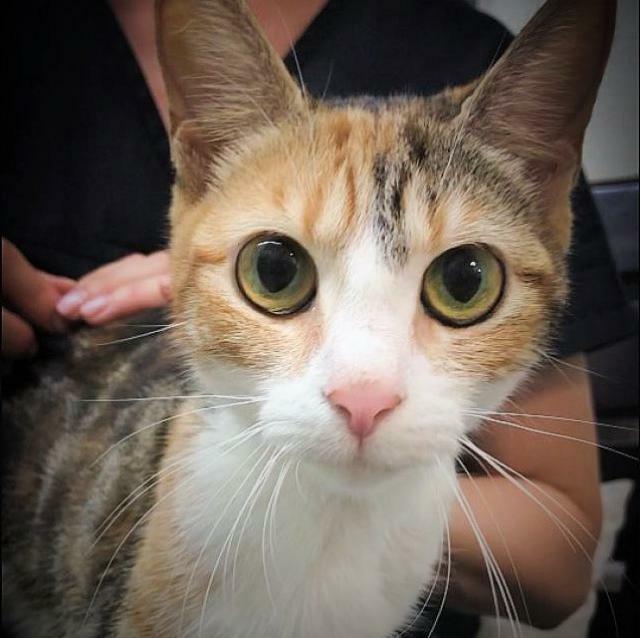 She is a very gentle easy to handle girl, 18 months old who is used to being around other cats and dogs in a busy vet clinic. She is very smoochy and has the most amazing big eyes. 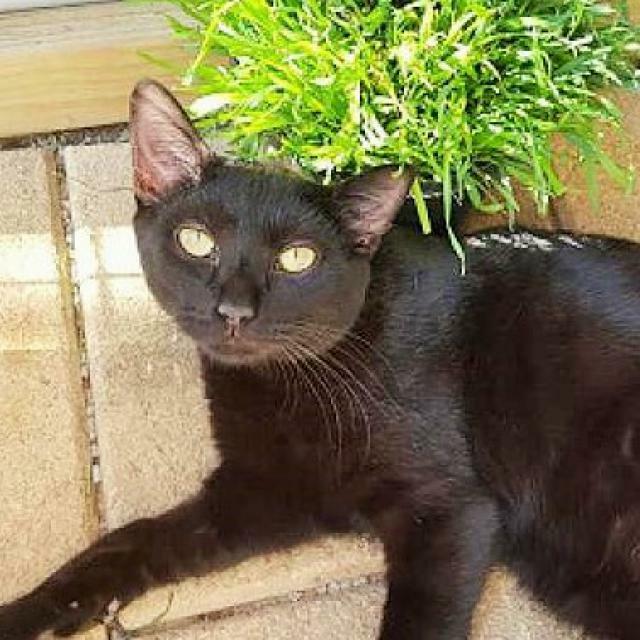 Sesame is a lovely boy around 12 months of age. 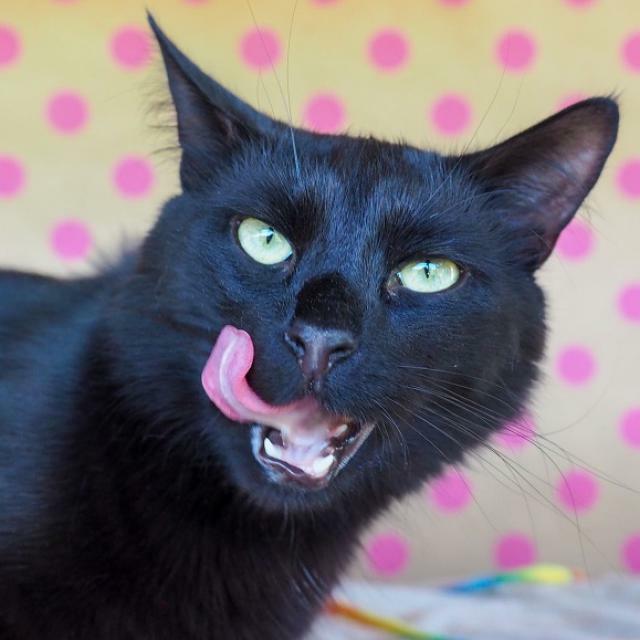 He is smoochy, gentle in nature, totally black and gets on with other cats. He comes desexed, wormed, F3 vaccinated, FIV/FeLV tested and microchipped. He is a healthy FIV positive cat. His adoption fee is $220. 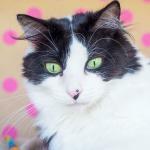 Shelby is very sweet and loves to put her purr on! She comes desexed, wormed, F3 vaccinated, FIV/FeLV tested and microchipped. Her adoption fee is $220. Little Shortcake is a pretty playful girl and is part of The Biscuit Litter, born at the end of Jan.
She comes desexed, wormed, F3 vaccinated and microchipped. Her adoption fee is $220. To meet her please call The Cottage Animal Hospital on 9890 7220 in Parramatta. 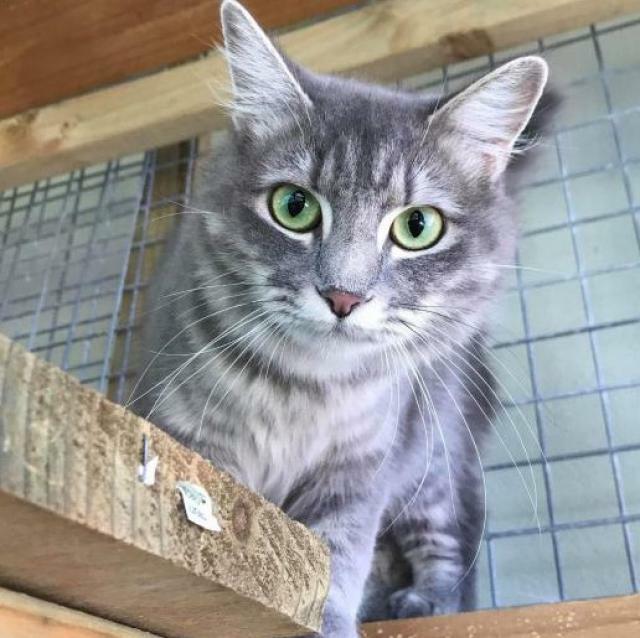 Ted is a lovely grey and white coloured boy around 5 years old. 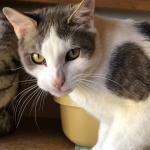 Ted is very calm, gentle and affectionate. He is social with other cats but tends to keep to himself a bit. He weighs 5.7kg. He comes desexed, wormed, F3 vaccinated, FIV/FeLV tested and microchipped. His adoption fee is $220. 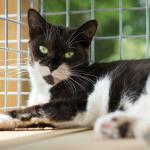 Tommy is around 3 years old who is social with other cats and is very bonded to his sister Lil who looks just like him. 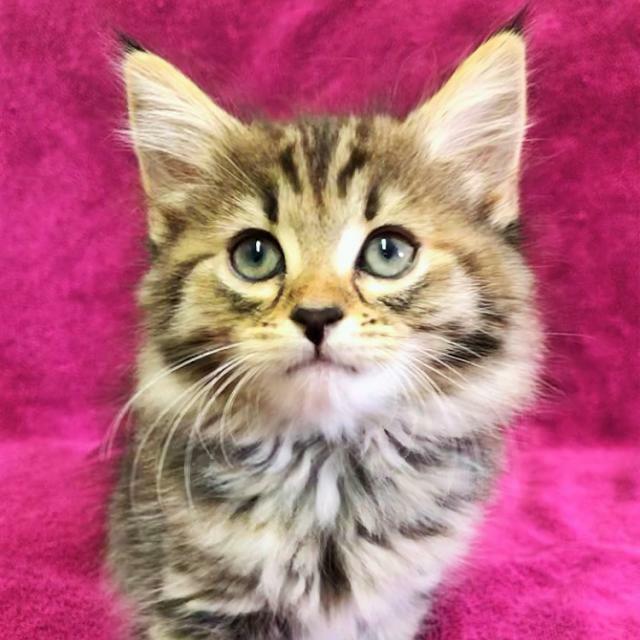 Little Vovo is a pretty long haired fluff ball and is part of The Biscuit Litter, born at the end of Jan.
Willy Wonka is a super friendly affectionate boy who greets all our visitors. He has a calm relaxed demeanor. He is a handsome boy with that tuxedo look. 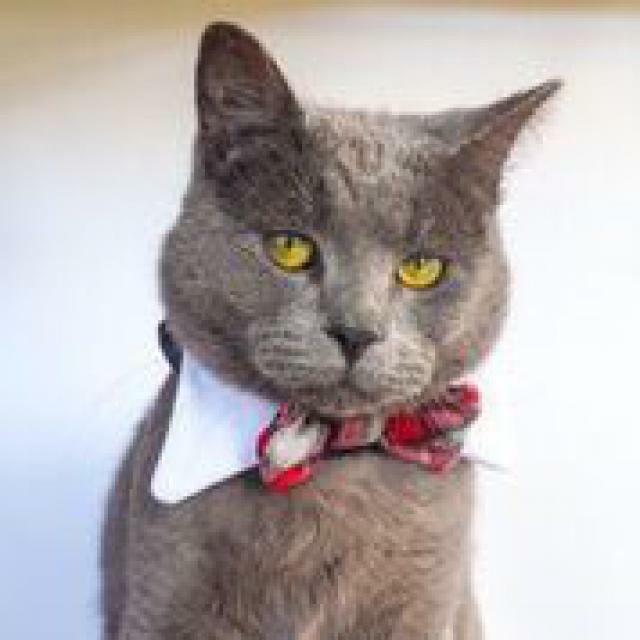 Willy Wonka is a young adult, about 4yo with unique smokey grey ripples through his coat. Willy is very social with other cats.